Summer season, time for another Extreme Blue! 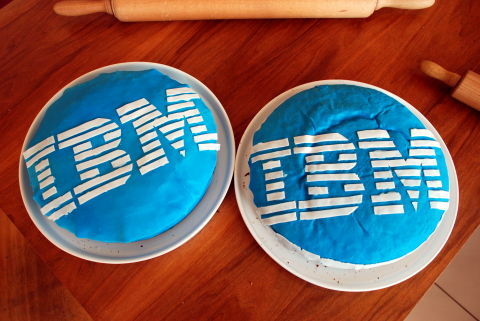 Summer season is getting by tradition the period that IBM starts with Extreme Blue project across Europe. 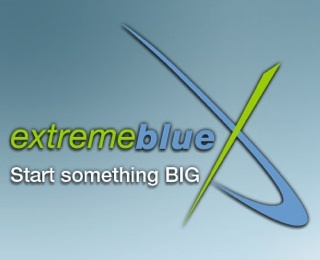 The Extreme Blue program is a premier internship for top-notch students. In Belgium we started two projects this week, and each project is staffed with four students. We assigned one project to the subject of Smarter Cities, with the challenge to develop the technology and the business plan for a new product or service that addresses an existing challenge in our society, in particular in the urban region of Flanders. The four students Dominik, Francisco, Harold, and Peter are from Austria, Belgium, and Spain. They have different educational backgrounds, in technology and in business. The students’ agenda was filled during the first week with education sessions and information gathering meetings. We gave a brief overview of different project already running in Smart Cities at IBM, exposed them with ideas at the local telecom operator, and should meet soon representatives from local government (communities / cities). Now they will receive a series of goals, which includes the baseline, target and stretch. Over the next two weeks they will have to come up with a bunch of fresh ideas, which will be funneled by the mentors until we have one cool project they can work out in detail. Media entangled ... the saga goes on! I participated to the ´Pan-European Forum on Media Pluralism and New Media´ at the European Parliament. It was a promising agenda with plenty of interesting speakers. The impressive hemicycle debating chamber was the perfect location for a good discussion. The first speakers gave a monologue on the recent trends and policy developments relating to media pluralism at national and European level. The content of the subjects were interesting, just ashamed that the way these were presented was vary old fashioned by people pitching behind the desk. I expected the use of new media during a conference with this agenda. Hope came when the panel discussion started, a twitter-wall listening to the audience. None of the panel members paid any attention to the twitter-wall unfortunately during these panel discussions; instead each of them gave their point of view. The further the agenda progressed the clearer it became to me that all speakers from media companies shared a common pain. No wonder, as all of them were more from traditional media companies facing competition from new business models put in place by new players such as global content aggregators, telecommunication providers, and device manufacturers. Read more about Media entangled ... the saga goes on! Publishing a book, a new experience! Writing a book was a major challenge (see previous blogpost). After an endless number of iterations the content and layout was completed and ready to be printed for distribution. Initially, I though that this part of the job would be a piece of cake. The first discussions with publishers were very hopeful, after losing several months in the mandatory qualification process I made it to the final contract discussions. The surprise came when discussion these fine details of the contract. I though the role of a publishers would help the author to make the publication of the book a success, as I assumed that their success is directly related to my success. However, after several months I concluded that publishers don't think primarily about the success of the author, seems they see the author as a customer something they can sell to. Read more about Publishing a book, a new experience! 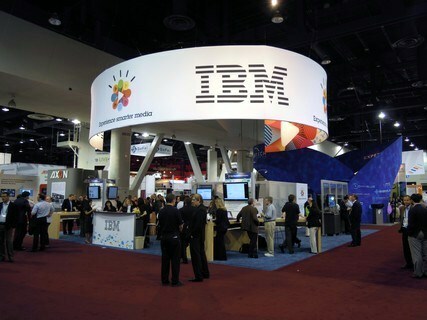 I decided short notice to go to the 2012 edition of the NAB show. And this year I left home without any expectations, this to avoid some kind of disappointment. As in the previous year there was no next ‘big thing’. Left and right you could discover some improvements, or maturing technologies. The impact of the economic downturn becomes visible. Where in the previous years it was still possible to demonstrate the outcome of previous research and innovation programs, it becomes now more and more difficult. The reduced investments in research and innovation over the past years lead to anemia in the industry. Tomorrow is the IBM initiated fundraising activity for the 'Fight against Cancer'. I could have baked a cake myself, however I asked my daughter Liesbeth as she is far more creative then me in baking cakes. Not conviced? Take a look at the photo below! 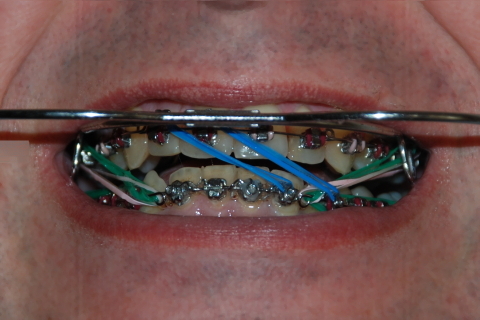 It's time to give an update on my orthodontic braces! I have been wearing 24 hours a day my headgear to get rid of my reverse bite (thus move my lower canines behind the upper canines). It took me 10 weeks to tilt the lower canines to the correct position. Now I have a total different feeling when taking a bite. In addition I broke my personal record in the number of orthodontic bits and pieces in my mouth. My 26 teeth (some were extraced to create space) are tight together by 65 orthodontic pieces, and this without counting the glue and cement. The telecom industry combines services into quadruple and even multi-druple plays. The major driver for this trend is to cross-sell services, which aims to increase the average revenue per user (ARPU). The consumer perceives the lower cost of the bundle compared to the sum of the individual services as a benefit. However, nowadays are the telecom services now perceived as expensive, given the visibility on the total price of the bundles. A new trend is the increase of consumer spending for additional services brought to him over the internet from by over-the-top (OTT) providers. This kind of divergence occurs in three different perspectives, from a content perspective, from a service perspective, and from a business model perspective. Additionally, the divergence is accelerated by a flood of smart devices that is thrown on the market by consumer electronics manufacturers. The battle for spectrum Telecom vs. Media: who will win? Media companies have been granted spectrum for broadcasting, initially for the broadcasting of radio and later for the broadcasting of television. Over half a century improved the audio and video quality, increased the number of channels, which resulted in the use and saturation of the assigned spectrum. The landscape changed since the middle of the 90s, and we can distinguish two trends. The first trend, the technology of broadcasting evolved from analogue to digital (which resulted again in an increase in quality), and additional channels were added within the same spectrum. Most important is that less spectrum is needed to provide the current services. Examples of digital broadcasting technologies used are DAB for radio and DVB-T for television. The second trend, the telecom industry moved to wireless communications and therefore was in need of spectrum. Initially, the spectrum was used to provide voice and texting services. Nowadays, this evolved to IP-based wireless connectivity services. Examples are 3G and 4G networks providing broadband wireless connectivity. The telecom industry paid to the government large amounts of money for the use of the spectrum, something highly welcomed by many governments in difficult economic times. Read more about The battle for spectrum Telecom vs. Media: who will win? Over the past decade the telecom industry has been growing. Nowadays, the business models in place become stressed. I take here a brief look at the five drivers of growth over the past decade and five different ways to go for revival in the near future. Our colleagues in the Media & Entertainment industry from Latin America faced a challenge that required a totally different approach. The colleagues had access to a large amount of information on how they could help their customers in the new digital era. The challenge was to find the right answers to specific questions, in particular in the area of how to drive innovation opportunities in the ongoing digital revolution. Going through the pile of information was probably not an option in the short timeframe.